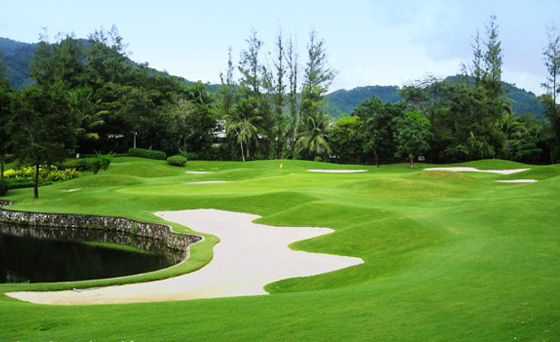 The Phuket Country Club boasts being the first golf course built in Phuket conveniently located 20 minutes from Patong Beach, 35 minutes from Karon, and 15 minutes from Phuket City. 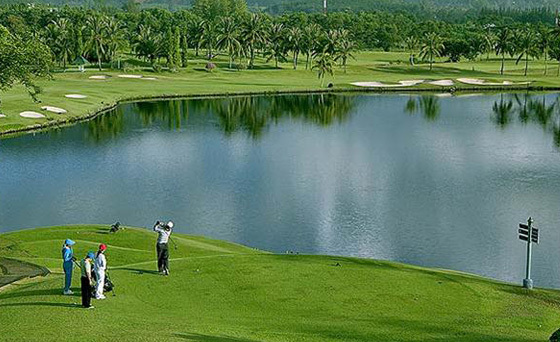 This moderately challenging 18 hole Phuket golf course and newer 9 hole championship course built over a reclaimed tin mine site shows it's beauty and elegance as you golf your way amongst rolling hills and limestone cliffs. 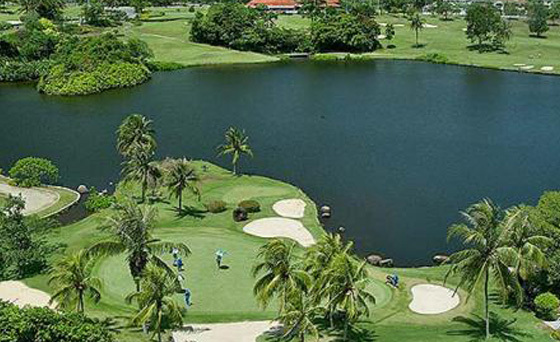 There is a large driving range centrally located within both of the courses as well as a nicely updated clubhouse with men's and ladies saunas, pro shop, putting green, tennis courts, a golf academy and an open restaurant offering up excellent Thai & American food options. 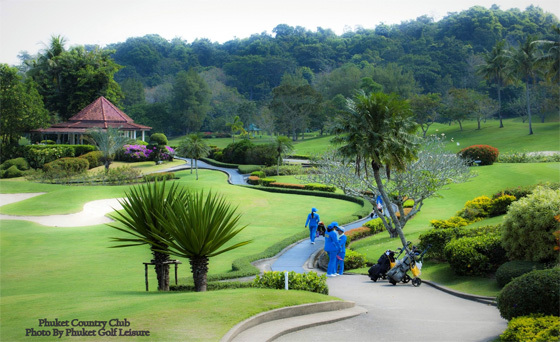 This is currently the only golf course in Phuket that does not offer carts and as such the caddy pulls your clubs on a wheeled dolly. 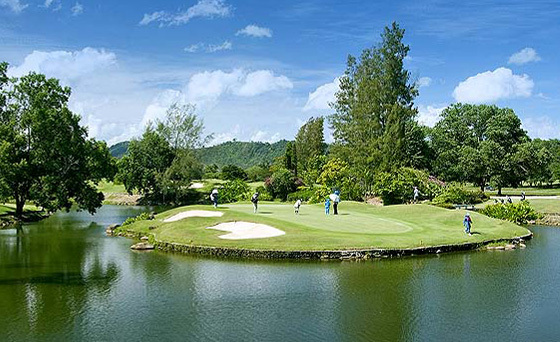 This fine Phuket golf course has hosted many tournaments and remains a favorite of many who travel to Phuket to enjoy the most affordable and not overly challenging round of golf. Groups of more than 4 people will get a better rate than listed above. Submit details on-line in e-mail and we will advise back on further discount prices. 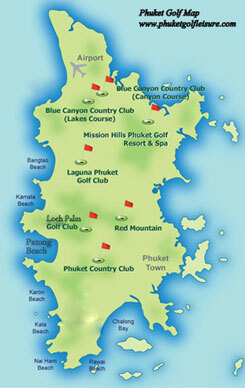 Non Golfer (walking) price is 700 THB per person paid directly to the pro shop. Note* dress code also applies to accompanying non golfers. 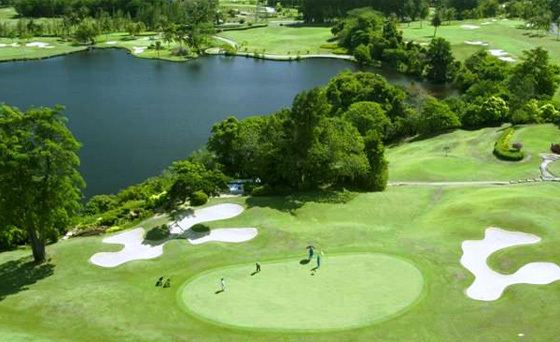 Round-trip pricing is based on your accommodations or distance from the golf course. If you are outside the Patong, Kata, Karon or Kamala area, there may be additional transfer charges. Net rates are inclusive of 7% VAT, Government tax and credit card fee. Rates above do not include the recommended Caddy Tip. 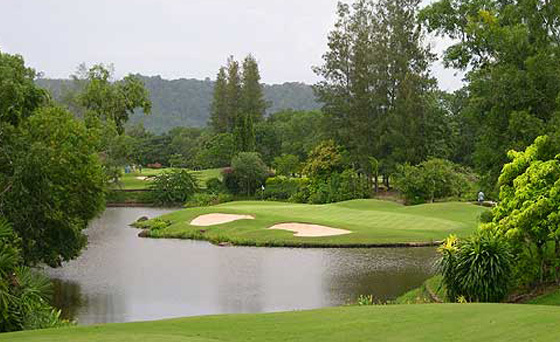 Caddy Tip is usually between 300-500 Baht paid directly to your Caddy after the game.